Bazooka Candy Brand’s Juicy Drop is taking over Dylan’s Candy Bar in Chicago on Saturday, March 21st from noon to 4pm to challenge candy lovers’ taste buds with a first taste of new Juicy Drop Gummies! Juicy Drop is hard-core candy dripping with attitude that puts you in control of the sour intensity so you can push your limits each and every time you dare to drop. 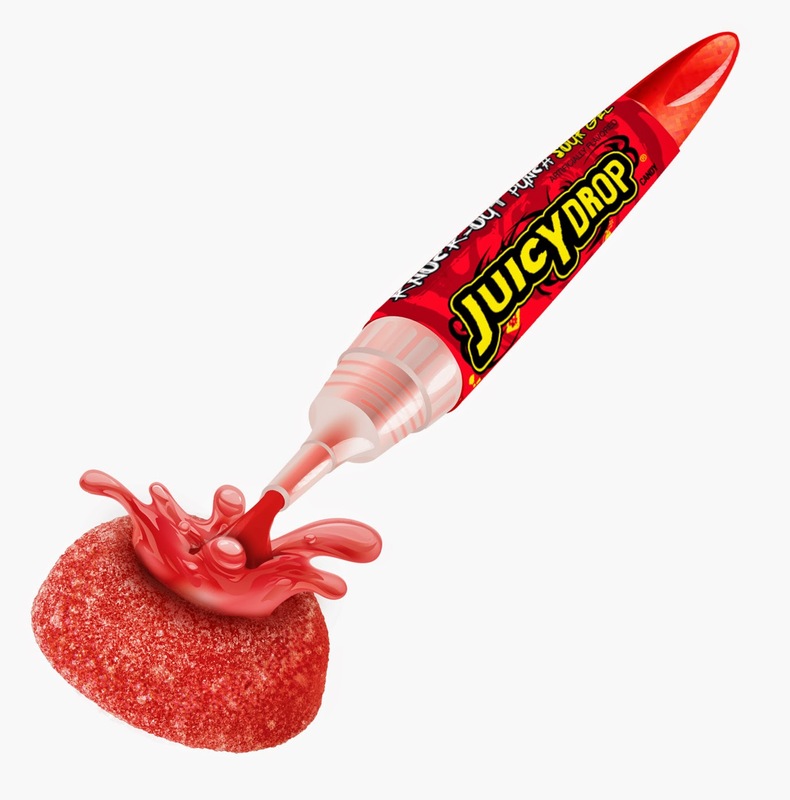 New Juicy Drop Gummies combine delicious soft gummies featuring a special “drop zone” with the signature Juicy Drop sour gel pen allowing fans to combine the two for an amazing taste experience. Juicy Drop and Dylan’s Candy Bar partner to offer candy lovers the opportunity to be among the first to taste new Juicy Drop Gummies. Fans will also get to play fun games with a chance to win special prizes from Bazooka Candy Brands. One person will win Juicy Drop Gummies. First I would try the red variety! I would try the red color first. I'd try the blue first! I would like to try the blue first. Definitely thinking I want to try the green! I might try the green first. I suspect my nephews would go for the blue, and my niece for the red, though! I would want to try the red first. I'd want to try the green first. I'd like to try the red. I would try the blue frst. I am most interested in trying the red variety. I'd like to try red first. I would probably try the blue one first! My son would absolutely love the blue! I would pick the red ones first. I would love to try the red first. I have an obsession with blue candy....so it will always be blue first. I want to try blue first! I'd love to try the red ones first! Followed by the others, because they all sound yummy. I'd like to try the red ones! I'd love to try the red ones most of all! I want to try red first.